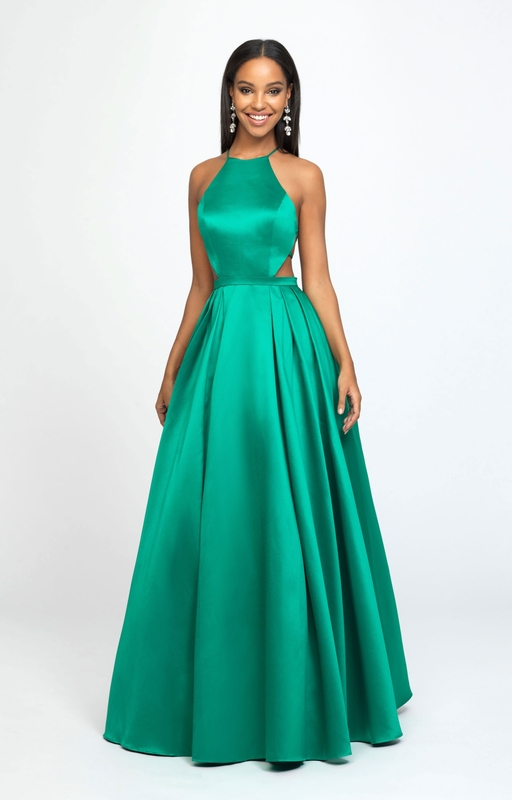 Stand out while wearing this fabulous Madison James 19186 ball gown. This dress has a high neckline and it is sleeveless. The back laces with to create the perfect design. This dress is made from the mikado fabric and zips in the back.